I want to hook up my Honeywell rth9580wf to a natural gas garage heater that only has R, W, and G (not in use). It's currently hooked up to a standard battery powered Honeywell thermostat. 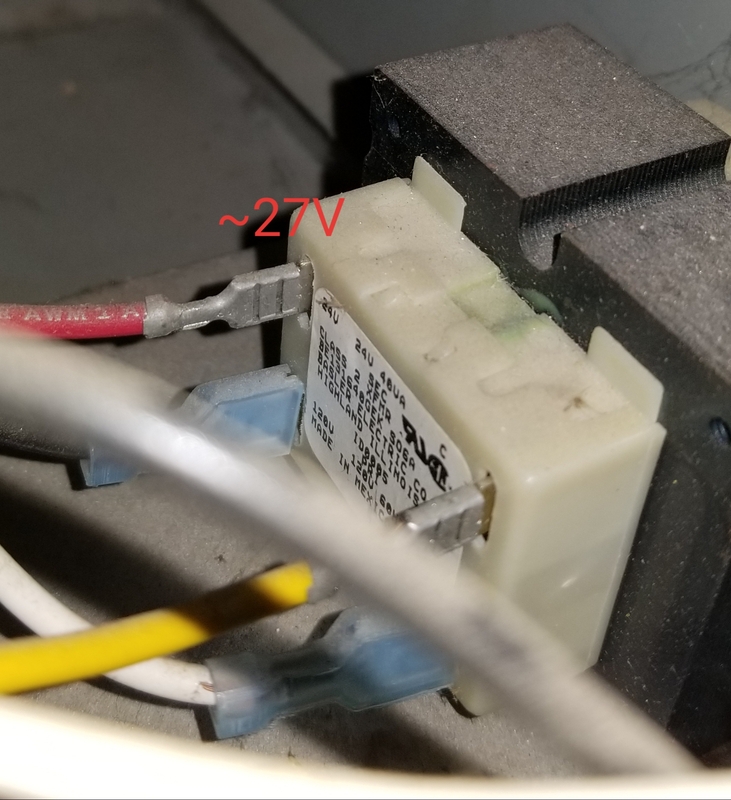 I've read up on other posts for installing furnaces without C terminals, and gave it a try without luck. Here's what I did: -Using a voltmeter I tested across the R terminal, and the red wire from the control board to the transformer. Each measures ~27V. -No matter the heater's running state, I measure a constant ~27V at the R terminal and on the post of the transformer. -Hooked up the G wire (which wasn't in use) to the R, and put this in the C on the thermostat. This did not power up. -Was about to run a wire off the post on the transformer to the C, but held up before asking for advice. I'd like some guidance I'd anyone can assist? Thank you. You see that quick-connect terminal you measured 27VAC from R to? 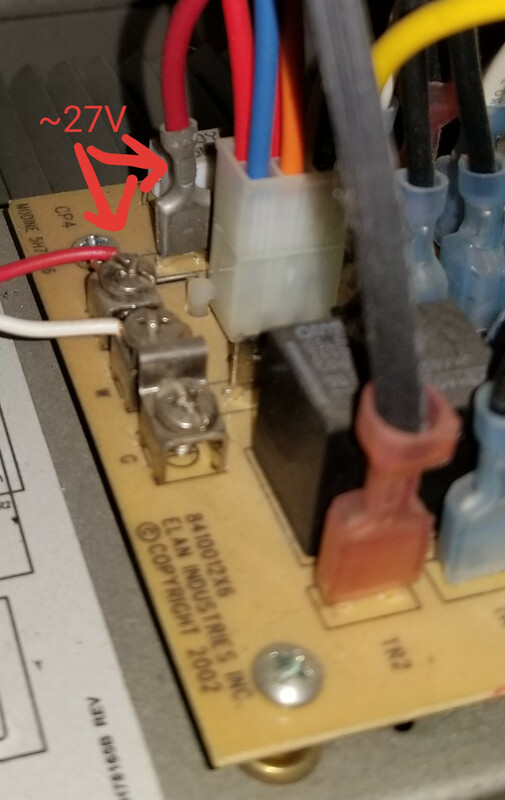 That right there is where the control board connects to C, and can be used as a tap point for a C wire with the correct hardware. In particular, you'll need a 6.3mm (0.25") stacked or piggyback quick-connect terminal (such as one of these) that accepts 18AWG wire and appropriate crimping and stripping tools. Turn the power to the heater off. Remove the red wire you measured 27V from R to from its terminal on the control board. This is the C wire from the transformer. Install the red C wire from the transformer onto the piggyback terminal's male part. Turn the heater back on, and enjoy your new smart thermostat!